What is a Currency Pair? What is Leverage in Forex? 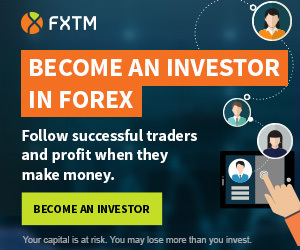 Who is a Forex Broker? What is a Lot in Forex? Why Trade on a Demo Account? What is the Technical Analysis? Investors should be aware of the serious risks of investing in the Forex market, Binary Options and other financial instruments. Trading on the Forex and CFDs using the leverage mechanism carries a high level of risk and may not be suitable for all investors. All content on the brokersofforex.com is provided for informational purposes only and shall not in any way be regarded as financial advice. Brokersofforex.com and persons associated with brokersofforex.com disclaim liability for any loss resulting from the use of information contained on this website. The published comments are private opinions of the users. BrokersOfForex.com is not responsible for their content. Used names and trademarks belong to their respective owners and are used for informational purposes only. Copyright © 2013 - 2019 Brokersofforex.com. All rights reserved. From May 25, 2018, the General Data Protection Regulation (GDPR), applies to all personal data processing of individuals from the European Union. We comply with this regulation and we would like to inform you about the rules of processing your personal data. Please be advised that by continuing to use this site, without changing your browser settings, you agree to the saving of cookies.